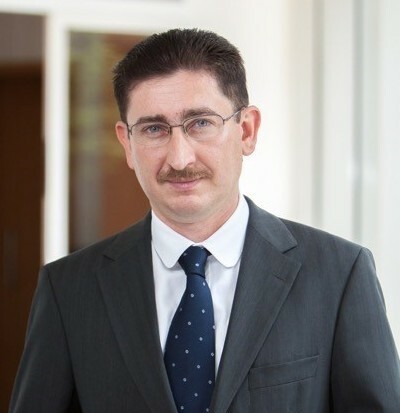 Bogdan Chiritoiu is President of the Romanian Competition Council since 2009. From 2005 to 2009 he has served as Presidential Advisor (rank of Deputy Minister) on Economic Affairs and Public Policy and Head of the Romanian Delegation to the EU Economic Policy Committee. In the field of economic expertise, he has authored or advised on several research projects and studies, for domestic and international bodies (e.g. UNDP, DFID-UK, European Institute of Romania, EC Mission to Romania, University of Melbourne, Merck Foundation Inc, Open Society Foundation, Tocqueville Research Centre). Bogdan Chiritoiu has M.A. degrees in Political Science (Central European University, Budapest, 1997) and European Studies (London School of Economics and Political Science, 1998). He is a holder since 2008 of a PhD in Economics (International Economic Relations) at the Bucharest Academy of Economic Studies with a thesis on Public Health Insurance Systems in CEE States. Mr. Chiritoiu is lecturer on Economics and European Studies at the University of Bucharest since 1999. Bucharest Forum / Keystone Projects is part of the series of events organized by the Aspen Institute Romania, as the Institute celebrates 10 years of activity.